It’s the night of a premiere – a star-studded event. 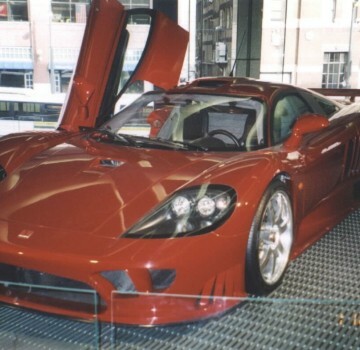 A candy-apple-red Saleen S7 pulls up. The scissor doors open slowly, and a gentleman wearing a fine Italian cut tuxedo emerges. He tosses the keys to a valet and confidently gaits down the red carpet. The flashbulbs flicker as the din of the crowd rises in anticipation. A culture beat reporter rushes forward to get the exclusive even though they’re wondering, “who is this man of mystery?” Could it be the structural engineer making his first appearance to the theater he designed? Was your first impression to cheer the well-deserved attention for a civil engineer, or did you scoff at the portrayal of a public servant flaunting wealth and living in the limelight? In a recent student outreach project, I was presented with a similar concept to be used in promoting the profession. I was generally ill at ease with using an outward display of wealth to represent the profession. Several other practitioners agreed, but the marketing professionals made a compelling counterpoint. In the arms race for talent, does humility weaken the civil engineering brand? Maybe civil engineers really are that cool in the eyes of some? Civil engineers’ negative reaction to demonstration of wealth may be based on a perceived salary deficiency or a disposition to avoid attention. How then should outreach programs communicate the economic rewards for choosing civil engineering as a profession? 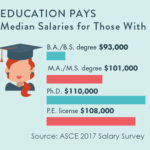 Focus groups of college-bound students reveal that the salaries of civil engineers are highly desirable. U.S. News and World Report estimates the average salary for a civil engineer over $85,000. They report that the earnings are fairly comparable to mechanical engineers. I found it interesting that some of the best paying cities for civil engineers were smaller municipalities, where the cost of living adjustment would be substantially in the civil engineer’s favor. The average in Waco, TX, would amount to almost $140,000 in Chicago dollars. Civil engineers are needed almost everywhere, and localities may need to pay to attract people. You might rightly point out that these are not Ferrari-owning salaries. But then again, the average mid-career doctor or lawyer isn’t in that class either. Those professionals are also likely to enter their career with a much more substantial student loan debt. Doctors could be half a million dollars behind in real and potential losses, by the early 30s, according to bestmedicaldegree.com. Anecdotally, the experience of friends and neighbors seems to support the claim, if not the full value. 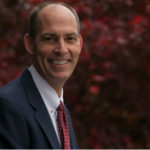 For now anyway, engineers can apply just a four-year degree from a state school toward their maximum earning potential. That’s good value! A strong quality of life argument can also be made for civil engineers in comparison to doctors and lawyers. Sure, we can sometimes be called upon for deadline driven overtime, but the workday is at least based on the old 9 to 5 schedule (adjust that forward if you will for construction management). A sampling of online articles indicates that it’s common for lawyers at big firms work 66+ hours per week! Don’t underestimate the satisfaction civil engineers can take from their contributions to society. The below quote from U.S. News and World Report highlights why civil engineering ranked among the top 10 for STEM jobs. Want one reason civil engineering makes for a cool job? Part of the payoff comes from stopping to take a look around. The fruits of civil engineers’ labors are seen everywhere – they have hands in building bridges, retrofitting buildings, and damming reservoirs. And yet, the old trope goes, “there are no famous engineers, only infamous ones.” Perhaps engineers shy away from self-promotion for fear that litigation comes with recognition. Maybe we just don’t want to jinx our work. Then again, clients reward discretion. Starchitects, politicians, and wealthy business interests may not want attention directed toward their engineers or the safety or performance of their constructions. Civil engineers may have the opportunity to rub elbows with the rich and famous, but to grab the attention could do disservice to the client and ultimately hurt business. It may not be the life of Tony Stark, but it sounds pretty good on re-read. I don’t think we need to promote the profession with an exaggerated scenario. The life of Clark Kent is still pretty compelling. Civil engineer’s compensation, measured in dollars, time, intrigue, and satisfaction, is more than adequate to attract the next generation. How did you respond to my intro setup? How should the profession communicate compensation to prospective students? Are you satisfied with your compensation? What financial advice would you give to someone considering a career in civil engineering? Please comment below. Ken- thank you for this post. These are good questions to ponder on the profession, and a good direct relay to what’s been happening in our society and culture. I want to add to your post by talking a bit on the societal dynamics at large and then the civil engineering profession to address your post. I particularly want to add to your question at very beginning of your post and address how civil engineers can make the profession more attractive to younger people and society at large. In the arms race for talent, does humility weaken the civil engineering brand? To answer this question appropriately, I think the use of the term humility needs to be defined clearly in the context and what the opposite of humility is- pride. In the new age of social media and sharing information- our societies have become one of the most egocentric cultures. What is humility and pride? Most people incorrectly define what humility is. In speaking with friends, colleagues and family over the years- humility is thought of as and even believed to be- not being flashy, not boastful, dressed-down, quiet-mannered. This is a misconception. Is being ‘flashy’ and having a very nice car or home boastful and ‘arrogant’? I don’t know that it does. By contrast, being full of pride, as C.S. Lewis observed is always competitive and comparing oneself to others. There are very wealthy and famous people, that have humility, kindness and consideration of others. There are also many people that barely get by in life- in many walks of life that are absent of humility but rather full of pride and self-absorption. So the question may be re-phrased: does being flashy weaken the civil engineering brand? I think it can have the opposite effect on our younger generation. I think a civil engineer not showing themselves to be more attractive and presentable (not looking at THEIR BEST) and ‘trying’ to be modest by dressing down or ‘humble’- if they are for outwardly public perception, does a disservice to the profession. One can ask: why would a young person gravitate toward a profession full of perceived ‘uninteresting and dull’ professionals? I am confident that many out there may feel similarly- how others view us and their perceptions of us should not be the driving force or determining factor what car we drive or how we dress. This should not be the motivation factor. However, in reality- it seems that this is how many people operate in society today. The reality is that public perception (outwardly appearance) and how others do view us IS important. Research has shown this and just give the theory a try- walk into a hotel or any other establishment with a shirt and jacket, as opposed to a t-shirt and jeans and you will notice the different types of reaction and service you receive generally. We need more civil engineers to be proud of what they do in respectful and non-comparative ways, not shy away from their successes and be vocal in our communities when called for. If an engineer is outwardly showy or flashy- let it be. If an engineer is quieter and does not like to draw attention to themselves, let that be reflected also. But let the true nature of each person be reflected outwardly. This is ATTRACTIVE. To dress appropriately for the occasion- whether it’s a black tie event, meetings or a conference. What we all do individually DOES matter. How we dress, how we present ourselves, how we talk and interact with others- with the CEOs, committee members, colleagues, to the janitors and service staff in the building. For the questions: How should the profession communicate compensation to prospective students? What financial advice would you give to someone considering a career in civil engineering? Civil and professional engineers should communicate to our students and youth in this way about our profession: If you want a career and life where you can directly impact and make a positive difference in our communities, society and the world- be a civil engineer. Your life may be full of adventure, rewarded with life-learning experiences and life-long colleagues and friends. Advice to younger engineers: Do not chase the salary and the money. Go all out for the positions in companies and organizations where you will be rewarded in the total compensation- the balance of work, life and your personal values. You won’t regret it.